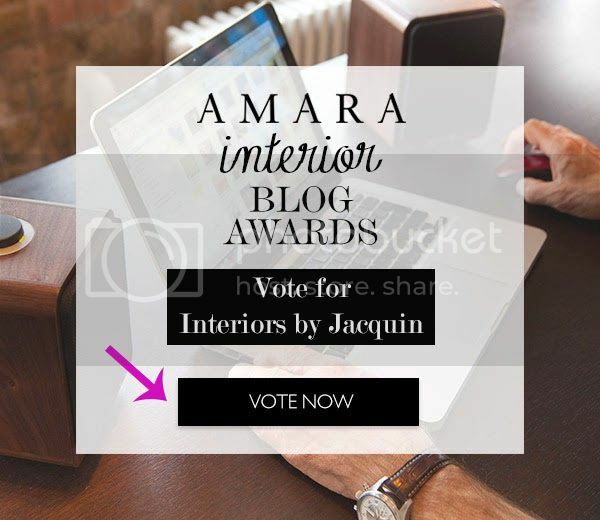 Amara Blog Awards + “Shabby-Chic” with Chairish co.
I’ve been invited by Chairish, an online retailer for high-quality vintage furniture and decor, to participate in their Shabby-Chic Challenge. Chairish even allows you to sell your vintage items through their website, which is fantastic. I was able to use any of the furniture and decor on their website to create a single e-design. I must say that I saw many pieces that were very unique and special, which made this a pretty fun challenge! When it comes to shabby-chic, it’s all about taking upcycled, vintage, and antique items and making them come together to create a chic and pleasant aesthetic. The best thing about the shabby-chic decorating style, is that the look can really morph depending on your own personal style. Shabby-chic decorating tends to allow an individual’s personal style and personality to shine through. In fact, I think we can learn a lot about our style & preferences based on the type of pre-loved and antique furniture we select. When it comes to my style preferences for pre-loved & shabby-chic furniture, I must say it’s all about originality and character. Shopping at a place like Chairish is right up my ally because many of their furniture and decor items just simply cannot be found anywhere else. So for me, I like to select the most original items, even with a few small dings because I believe this adds additional charm and character to a space. What you’ll notice most about this shabby-chic challenge is that while I used primarily vintage pieces here, the room is far more chic than shabby. 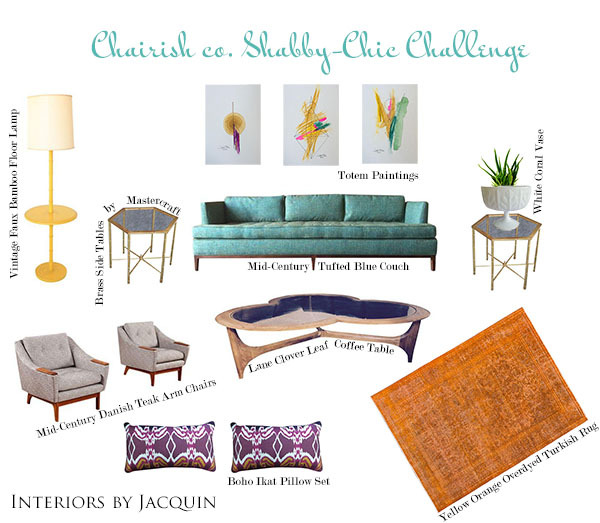 This just goes to show you that shabby-chic doesn’t have to be overly shabby, but can read more boho, rustic, ornate, or in my case today… a dose of mid-century modern! Like what you see? You can shop these Chairish finds below! Learn more about Chairish and their amazing home decor finds here. Have a great week!